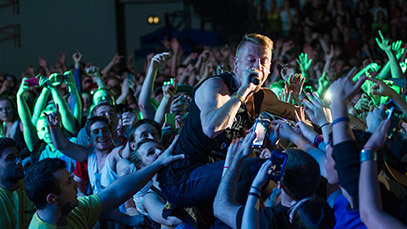 A degree or certificate from RIT comes with certain perks. Greater earning potential in growing fields, the support and experience of accomplished professionals with real-world connections, and a world-class reputation that earns immediate respect from employers around the world. Whether you are studying on campus or online, RIT offers options and support to help you reach your education goals. Our team of admissions counselors and academic advisors is ready to help you explore education options, guide you through the admission process, and assist with course registration. Contact us to learn more or register for an advisement session. Leveraging decades of experience, RIT Online captures the world-class quality of RIT and customizes it for online learning. RIT’s reputable faculty instruct over 30 degree and certificate programs, with hundreds of individual course offerings available each term. 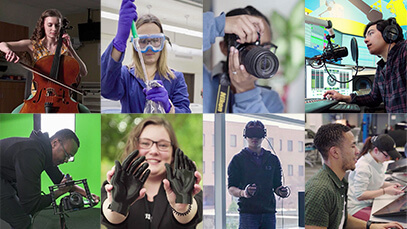 With over 100 graduate degree and advanced certificate programs spanning design, science, engineering, computing, and the social sciences, RIT can help you advance to the next level of your career. 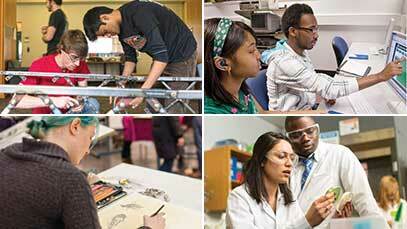 The BS Applied Arts and Sciences provides a flexible, individualized pathway. The BS Applied Technical Leadership allows students in public service and technical fields to build upon an associate’s degree. Not ready for a degree program? If you are looking to sharpen your skills with an individual course or earn a few credits, we offer a simplified direct registration process. Review our up-to-date course listings and use this simple PDF form to enroll. 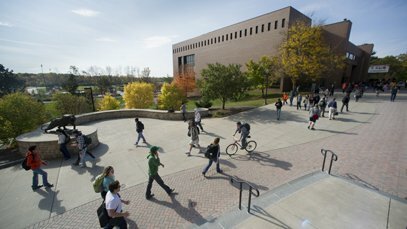 RIT has a long history of partnership with business and industry and has earned an outstanding reputation for excellence. We offer both evening and online courses and our academic portfolio addresses the current and future requirements of business and industry. We welcome the opportunity to work with you as you assist employees interested in continuing their education at RIT. Click on any section below for more information on available services. Contact us for partnership details. Rochester Regional Health benefits-eligible employees enrolled in an RIT Online program or course are eligible to receive 50% off the published standard RIT tuition rate. 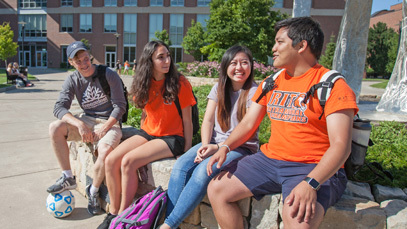 The Rochester Regional tuition discount cannot be applied to the RIT Online tuition rate, or any other discounted rate at RIT, nor can it be combined with any other RIT discounts or scholarships. Choose the area of concentration that you feel best meets your company’s educational needs, and we will help you with the course selection process. 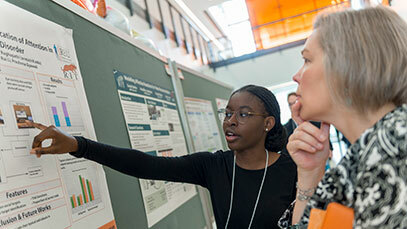 RIT hosts semi-annual career fairs that draw hundreds of employers and students alike. This is a must-attend event if you are looking to hire our students for co-op and/or full time positions. 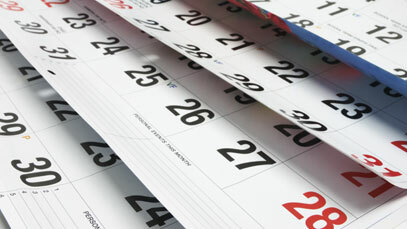 To complement our career fair calendar, we offer a number of dates for campus recruiting. From career fair wraparound dates to individual interview/presentation days, look to RIT to help you achieve your workforce development goals. 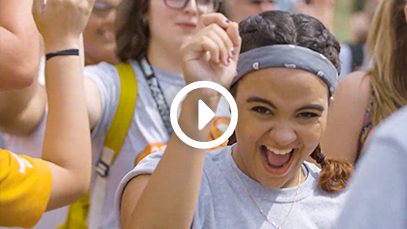 At RIT the connection between brilliance in the classroom and professional excellence at the work site begins through experiential education. 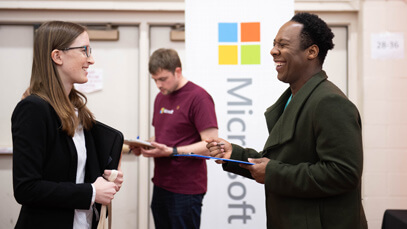 RIT has a host of programs that connect students with business and industry including co-op assignments, internships, field placements, and special class projects. Approximately 3,500 students complete at least one co-op assignment each year and are employed by more than 1,900 employers coast to coast and overseas. RIT is one of the largest and best-recognized co-op schools, recently ranking in Princeton Review’s Top 20 colleges nationwide for experiential education. Our annual graduating class boasts several thousand students available for full time hire. Often, employers will invite a co-op student aboard for a full time position upon graduation because a positive working relationship has already been established. RIT’s career services are available for life for our alumni. Recently, we have assisted many of our alumni who have been displaced for economic reasons by hosting sessions geared toward refreshing their job search skills and resources in the current marketplace. RIT also has a number of training centers on campus offering workshops, industry-specific seminars, and training. 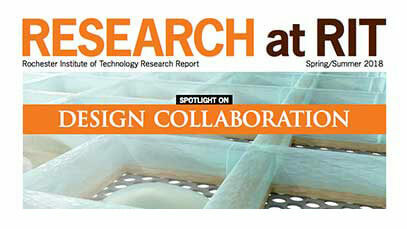 Check out the many ways that RIT can meet your needs. Interested in OSHA training? RIT offers hands-on programs that are designed to promote safety in the workplace and reduce the cost to society associated with accidents and unhealthy work environments. Learn more. Is your company looking to improve quality and productivity? The Center for Quality and Applied Statistics offers consulting, seminars and training, classes and certificates to help you and your organization apply statistical methods and decision sciences to product and process improvement. RIT provides training programs to help your company move towards these goals. Learn more. Are you looking for innovative solutions to help your organization meet manufacturing objectives and leverage sustainability? RIT’s Center for Integrated Manufacturing (CIMS) offers training programs, applied research, and consulting to help industry develop and deploy new technologies to support more efficient and sustainable products and processes. Learn more. Whether you want to enhance your production skills, get up to speed with the latest technologies, or prepare your company for success in today's emerging markets, RIT’s experts in the Printing Applications Laboratory offer you and your organization solutions for the printing and imaging industries. Learn more. If you lead a small business or are seeking acquisition of a specific business skill in under three months, RIT’s E. Saunders College of Business offers training on several focused topics. Learn more. Are you initiating a Leadership Development Program within your company, or revamping your current program? Investing in the future leaders of your company will not only aid in organization growth, but adds to the personal and professional development of your employees. RIT’s Leadership Development Program (LDP) is designed for team members who stand out above the rest; individuals with the ability to lead and manage who want to enhance their skills with specialized education. We can help you build a customized program that combines leadership topics along with content specific to your company’s needs. Course selection, schedule and delivery methods may vary. Contact us for more information. Firms offering $5,250 or more in annual tuition assistance may qualify for the Employer Sponsored Tuition Plan. RIT extends a full-semester deferment to students from participating firms. Students must obtain official verification of their eligibility from their Tuition Aid Administrator, and must be in good financial standing from previous semesters. List of RIT ESTP companies and their codes.